A very warm welcome to Ashville Design. 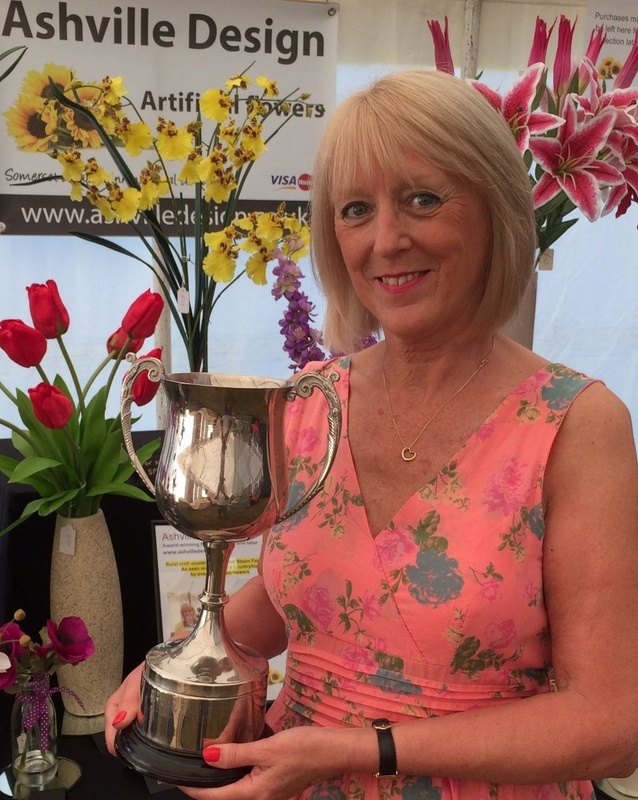 I'm the owner and founder, Jackie Nicholls, a multi award-winning floral designer, tutor, speaker and demonstrator from Somerset with a passion for artificial and fresh flowers. You may have already seen me exhibiting my work with artificial flowers at numerous shows around the West Country. Or, perhaps you've attended one of my fresh flower arranging workshops or demonstrations. If not, please enjoy my website and do let me know if I can help you. I just loved it all (especially the cake!). I learnt how to use different types of leaves and how to use fruit in an arrangement. I was very pleased with my design and will definitely recommend these workshops to my friends." "I really enjoyed making something contemporary that was simple but very effective - 10 out of 10 from me!" "Who knew what you could do with a bunch of flowers - the tips alone were worth the day, I was really pleased with my design and confident I could repeat it"
Jackie is professional, friendly, warm and helpful. If you're looking for artificial flowers, a workshop or planning a wedding, you can't go wrong!